Conversion of mangrove ecosystem into fish ponds and other land uses in Torosiaje have caused severe environmental and economic problems. KSL Paddakuang through Mangrove for the Future (MFF) proposed the initiative to strengthen coastal resilience through community empowerment. Targeted Bajo communities, residents of Torosiaje Village, KSL Paddakuang involved 4 groups of fishermen (total 20 people) as direct beneficiaries. They were involved in mangrove rehabilitation in 10 ha of degraded mangrove areas and provide capital for reef fish culture as an alternative livelihood. The rehabilitation program was relatively successful with high survival rate of mangrove planting. Further, local government have acknowledged and fully supported this rehabilitation activity. As a result, KSL Paddakauang was granted a mangrove seedlings certificate from local authorization. Since then, the rehabilitation site was become more famous and many stakeholders have visited the site to learn and practice mangrove rehabilitation technique. Aside from mangrove rehabilitation, livelihood activities implemented by fishers have successfully generated family income. 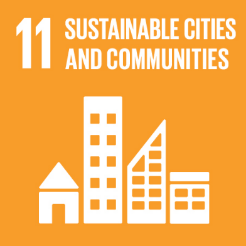 These two activities have strengthen community resilience in terms of economy and environment. The livelihoods of Bajo community are under pressure due to the conversion of mangrove ecosystem into fish ponds, and other land uses in Torosiaje. The traditional fishing community was increasingly losing the fishing ground due to degradation of the ecosystems. KSL Paddakuang through Mangrove for the Future (MFF) proposed started the initiative to rehabilitate the degraded mangrove area. They planted 103,000 mangrove seedlings in an area of 10 ha during 2014 with support from MFF. KSL Paddakuang continues to rehabilitate with own initiative. They are still selling mangrove seedlings they are raising in the nursery established with MFF financial support. The initiative to strengthen coastal resilience through community empowerment. KSL Paddakuang has successfully demonstrated the community stewardship for restoration and protection of the local environment. 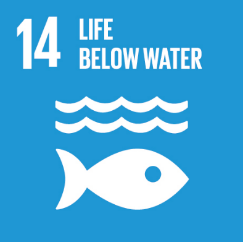 SDG 14B: The project supports Bajo community who's reef fishing dependent livelihood was under threat by introducing cage farming and at the same time empower them to address environmental degradation issue. The Group has been selected by Government’s mangrove certification agency in Makassar, South Sulawesi, as the official certified mangrove seedling supplier. This is a significant achievement for the group. Being a certified and trusted by the government, the group has more opportunity to be involved in various mangrove planting project and get economic benefit from supplying seedlings. Following government’s pledge to reduce emission, more planting project will be implemented in the future that would open more opportunity for communities to get involved in mitigation program. From livelihood point of view, KSL Paddkauang managed to get significant economic gain from breeding fish in the cage. With 5 fish cages and 2,000 fish seeds for each group (consisted of 5 people), group member managed to obtain USD 126 per month or USD 634 million within 5 months. 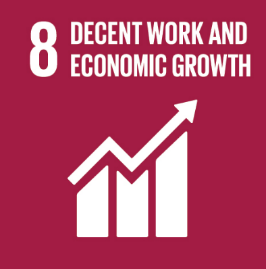 The initiative has a strong potential for sustainability with some improvement in financial mechanism and application of appropriate innovative (i.e., for reef fish aquaculture). KSL Paddakauang has a good reputation in managing community-based approach and more specifically environmental issue. They also closely engaged with local government as well as private sector. Communication and process with stakeholders were taken to explore the opportunity for replication in other areas. The positive response from stakeholders and possibility of funding from government projects indicate the strong potential for replicating activities in other areas.